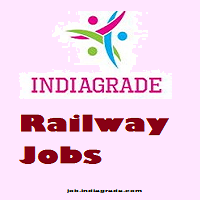 South Western Railway Recruitment 2015: The South Western Railway Recruitment Cell invites the application for the Assistant Station Master (operating) 118 Vacancies. Now all of the eligible regular serving railway employees of the candidates apply the online application at the official website rrchubli.in before 31.05.2015. In this recruitment, regular employee of Division/Units/Workshops/Headquarters of SWR and Rail Wheel Factory/Yelahanka (RWF/YNK). Those are the candidates apply the online application for this recruitment as per the instruction available here. The candidates should possess the Degree from a recognized university/institute or equivalent qualification Diploma in Rail Transport and Management, Multimodal Transportation, Transport Economics awarded by the Institute of Rail Transport, Rail Bhavan, New Delhi. It will be an additional qualification for this recruitment. The age limit for the general candidate appearing the GDCE will be 42 years, 47 years for the SC/ST candidates and 45 years for the OBC candidates as on the date of the recruitment notification. There is no application and recruitment fees for the South Western Railway recruitment of Station Master (operating) Posts. The candidate selection will be based upon the performance in the written examination, Psychological Test, Medical Examination and Verification of relevant documents. The eligible candidate apply may apply the recruitment through the official Online site at the rrchubli.in. During the online application registration, candidate encloses the photocopies of the educational qualification, certificate, community certificate and other relevant documents. Candidates should apply this recruitment before the May 31th, 2015.